God is transcendent beauty and much more. Do you grasp that thought, or is God small for you. If God is big our problems are small one wise man said; the opposite is also true. So, I have been thinking of the transcendence of God. 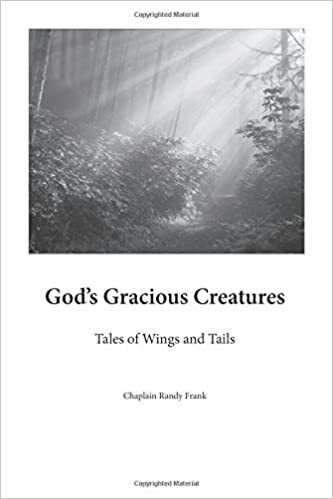 I have written about this subject before from the perspective of God’s awesome creation seen in the sun rising and setting, the majesty of the mountains and beauty of the flower filled valleys and water falling into them, as the butterflies and birds soar and flit above, transcended only by the eagle and God. Then I read Revelation 10 again speaking of “a mighty angel coming down from heaven.” The angel is described as being so huge that it is wrapped in clouds with a rainbow above its head and a face like the sun and a voice like thunder. It was so large that its fiery pillars of legs stood on the ocean and another on the far side. Its voice was like “seven thunders.” This is magnificent and frightening at the same time. This is an image of the unlimited transcendent power of God coming down from heaven. It tells me that all will see God in Christ Jesus when He comes in the clouds again to rule and reign. We can easily lose site of the transcendence of God in the details and detours of life. Our sense of duty can take our eyes off of God and into the downers and drainers of life. That is why the Revelation 10 angel comes to bring the word of God and tells John the Apostle to eat it and it will be as sweet as honey. This is mighty and marvelous command to John and to us today. “Take and eat” it is the invitation of communion with God. It is a command here that we would be wise to heed. Psalm 119 tells us that God’s word is powerful and preserves our life. We are to praise and delight in His precepts, saying, “Thy word is a lamp unto my feet and a light unto my path” (Psalm 119:105). Our redemption is through His word as well as our deliverance. So what are some more prescriptions of the word of God? · Peace- Paul tells us “Be anxious for nothing but in everything with prayer and petition bring your requests to God and the peace of God that transcends all understanding will guard your hearts and minds in Christ Jesus” (Philippians 4:6). · Praise- “God is in the praises of His people” (Psalm 22). · Perfect Power- ‘My grace is sufficient for you, for my power is made perfect in weakness’ (2 Corinthians 12:9). · Pulsed- “I was caught up at once in deep worship and, oh!—a Throne set in Heaven with One Seated on the Throne, suffused in gem hues of amber and flame with a nimbus of emerald. Twenty-four thrones circled the Throne, with Twenty-four Elders seated, white-robed, gold-crowned. Lightning flash and thunder crash pulsed from the Throne. Seven fire-blazing torches fronted the Throne (these are the Sevenfold Spirit of God). Before the Throne it was like a clear crystal sea” (Revelation 4:2-6 The Message). · Great and Precious Promises- His divine power has given us everything we need for life and godliness Peter tells us (2Peter 1:3), “He has given us His very great and precious promises so that through them we may participate in His divine nature” (v.4). 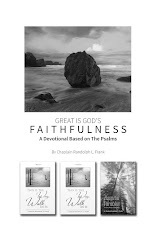 · Perpetual- Throughout Scripture we read, “His love endures forever” and that His plans stand forever; His righteousness stands forever; and that the word of the Lord stands forever (Psalms 100, 118,111). “He lives in us and will be with us forever” (2 John 2). · Patient- “He is patient with you not wanting anyone to perish, but everyone to come to repentance” (2 Peter 3:9). · Possible- “I can do everything through Him who gives me strength” (Philippians 4:13).